Spring is in the air... and it's time to freshen up our makeup bags with a little COLOR! 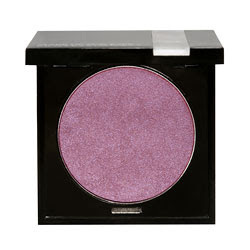 The Spring 2010 Makeup Trends are bursting with beautiful bright washes of color for the eyes. Allow these vibrant eye colors be the focus of your look, while choosing sheer nudes to accent the remainder of the face. Makeup Forever offers a huge array of colors that are only available at Sephora. We all love to give back to our community and on Saturday we had the opportunity to pay it forward! 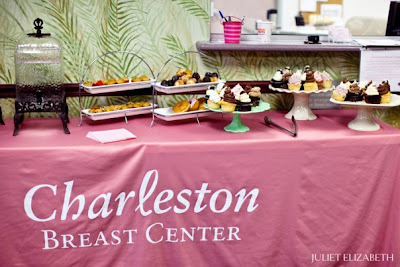 "Leslie and the Pinks" is the label used by Dr. Baron to describe the 6 women who put together the fundraising event for the Charleston Breast Center. 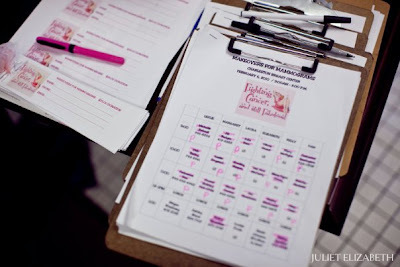 Laura Oliveri, Elizabeth Quinton, Kelly Campbell, & Pamela Lesch joined Leslie and myself for this beauty extravaganza! Our schedule was filled and everything ran smoothly. There was lots of love and laughter had by all. The event was a huge success with a total of $2,100 raised. Not to bad for a few cosmo-trons getting to play in each others makeup kits. 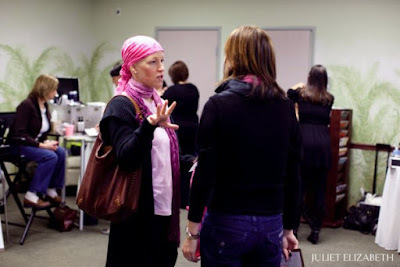 Everyone went home with there heart full knowing the money we helped raise will help women get mammograms who would otherwise be unable to afford them. We all hope to do this again next year......who knows maybe we can double our numbers.